Banning genetically modified (GM) foods in Europe is a bit of a complicated process because EU law explains that a national ban is only justified if specific conditions are met. In Austria, a recent ban on GM maize has led to debate and controversy over the technology and the right of individual country members to ban GM foods. Despite previous attempts to have Austria's ban removed – similar to attempts in other countries such as Hungary – both Hungary and Austria have banned a certain kind of GM maize that was developed and marketed by Monsanto, which is a biotechnology company based in the United States. On top of that, Austria had also banned another kind of maize that is made by the German pharmaceutical company Bayer. Despite attempts to have the bans lifted, Austria has maintained the bans on these GM foods. Austrians have been pleased and felt that their efforts have been well worth it. The desire for EU country bans on GM foods is not at all surprising given that consumers in Europe have generally been the slowest to latch onto the GM food craze. They are generally very sceptical of the technology and have approached it with mistrust and intense caution. In fact, laws and regulations in Europe are some of the strictest in the world, partly in response to the public mistrust of this technology. However, the biotechnology industry maintains that GM foods are safe and that the technology is important to support the food needs of our world in the future. Still, the words are not significant enough to convince Austria to lift its ban. Environmental groups have been angered by the attempts to have Austria's bans on the maize lifted. 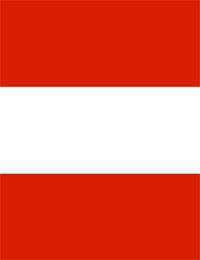 They feel it has been a case of bullying and unjust pressure on Austria. They key aspect of the debate has been that Austria must show scientific evidence to justify that their ban is a reasonable one. As such, Austria has claimed that there are questions about the effect of the maize on fertility as well as on insect resistance to the maize. There have also been concerns voiced about the effects on butterflies. It is Austria's argument that safeguarding human and environmental health is a top priority and that these particular strains of GM maize have not yet demonstrated safety. As many environmental groups can attest, a major part of the debate is the question of reasonable safety. These groups tend to support significant caution, meaning that until GM foods can be shown as safe, they should not be used. One of the problems we have is that GM foods have not been subject to much long-term data. We still don't know about their effects on humans and the environment in the future. Other studies have raised safety concerns but these are inconclusive. It seems that for each study indicating GM foods are safe, there is another suggesting it may cause harm. We generally have so many factors influencing these studies that it's difficult to perform an accurate, robust study to show exactly whether a GM product is suitable for production and consumption. For now, however, Austria is citing their concern for health and ecological and environmental safety as reasonable grounds for their ban on the GM maize. Their ban will likely not be lifted anytime soon although it will probably continue to fuel debate and controversy on the subject.